Every day my cat Taz climbs up on the window sill and sits, sometimes for hours at a time, watching the going-ons of the world. No dog is walked, bunny rabbit hopped, or bird flown without being monitored by my little lookout. 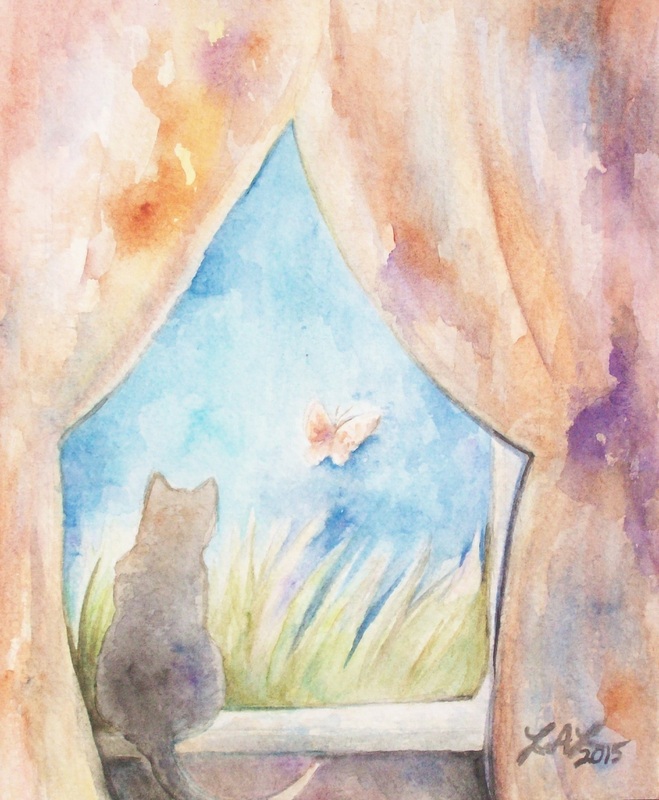 This painting is a tribute to her tireless vigilance. In early 2014, the barn was host to a litter of kittens. After long days of their playful antics distracting me from my work, I decided to try to capture that bouncing energy by making a motion study. The result is these four pictures of a kitten I called “Little Brave” stalking her brother and sisters. Have you ever watched Bob Ross effortlessly paint a beautiful landscape in seemingly just a few strokes? Or perhaps you’ve seen a street artist sketch out amazing human likenesses in almost no time at all? Yet, whenever you try to draw without a reference it looks cartoon-ish. How come some artists are able to conjure up life-like portrayals on the spot? I found myself in this conundrum recently when I started to branch out from my usual subject of horses to a new subject: cats. 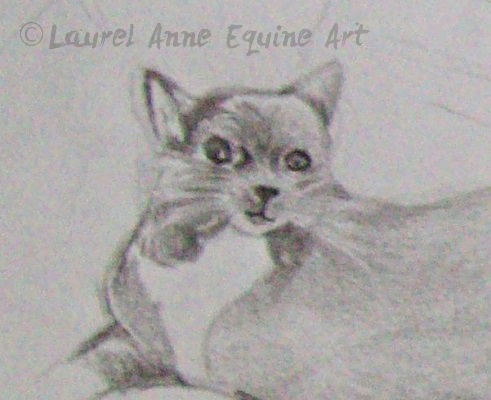 While I can usually sketch up a realistic looking horse without much trouble, much trouble, something about my cat sketches just didn’t look right. I realized that my problem was my lack of familiarity with the subject matter. You see, I’ve been drawing horses for years. Years of sketching. And studying. And revising. And correcting when something just doesn’t look right. As a result, I’ve developed the skill of drawing horses free-form. 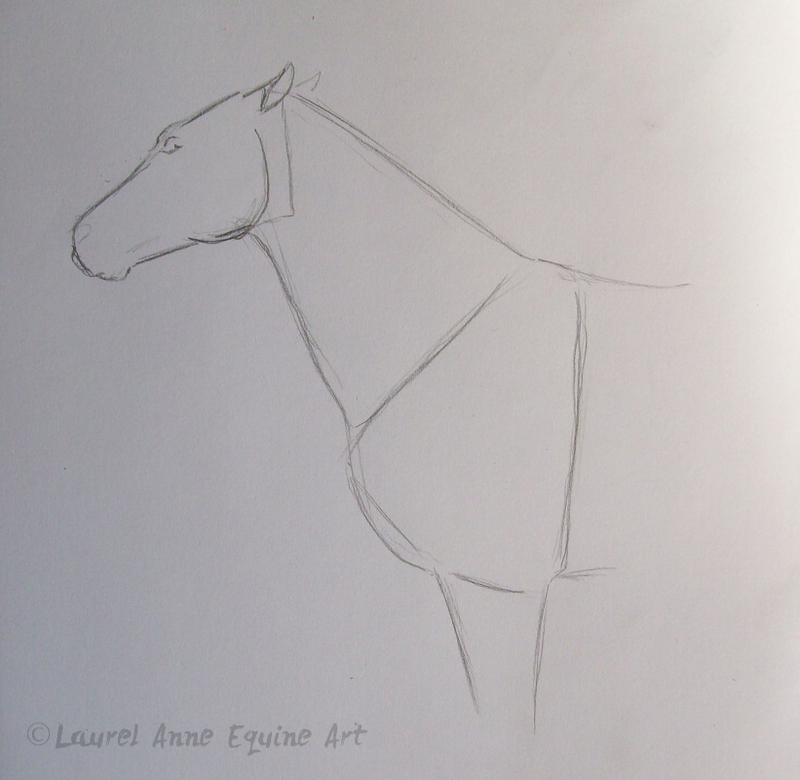 The reference of how a horse should look, the shapes its body is made up of, is in my head. Once you have memorized and mastered the basic form of your subject, you can get creative with it, experimenting with poses, positioning, or lighting to create new artwork, and maybe eventually be able to draw those realistic pictures straight from your imagination! Cat sketches after boot camp. Much better, and no chihuahuas! Study References. A. Lot. If there is a particular subject you want to be able to draw well (people, birds, cars…) find lots of pictures of that subject and practice. 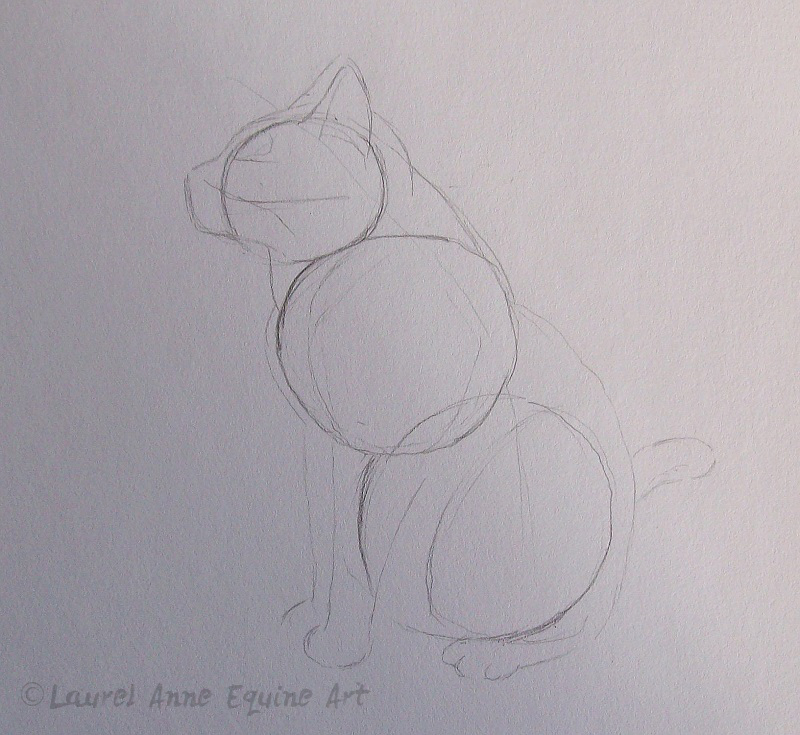 Preliminary drawing of a cat. The whole form is built around 3 circles, head, chest, and haunch. The other lines connect the circles to flesh out the form. 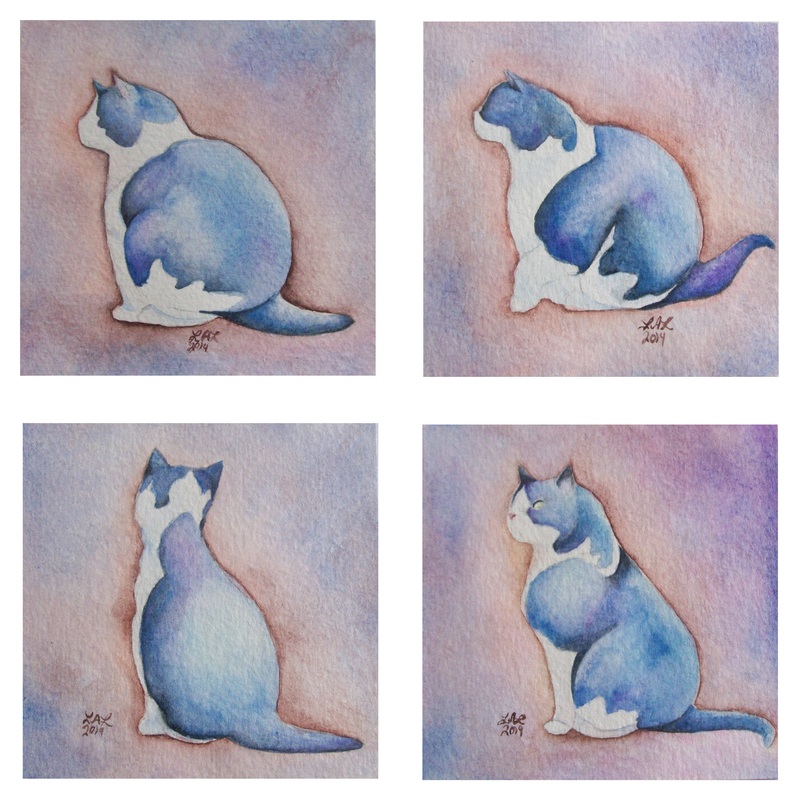 In this pose, the lower circles overlap because of the way the cat is sitting. The forequarters of a (somewhat sullen) horse, composed of 3 roughly equal wedge shapes; head, neck, and shoulder. The foreleg is a narrower wedge. Here, the head is a bit smaller than the others because the horse is looking away from the viewer. 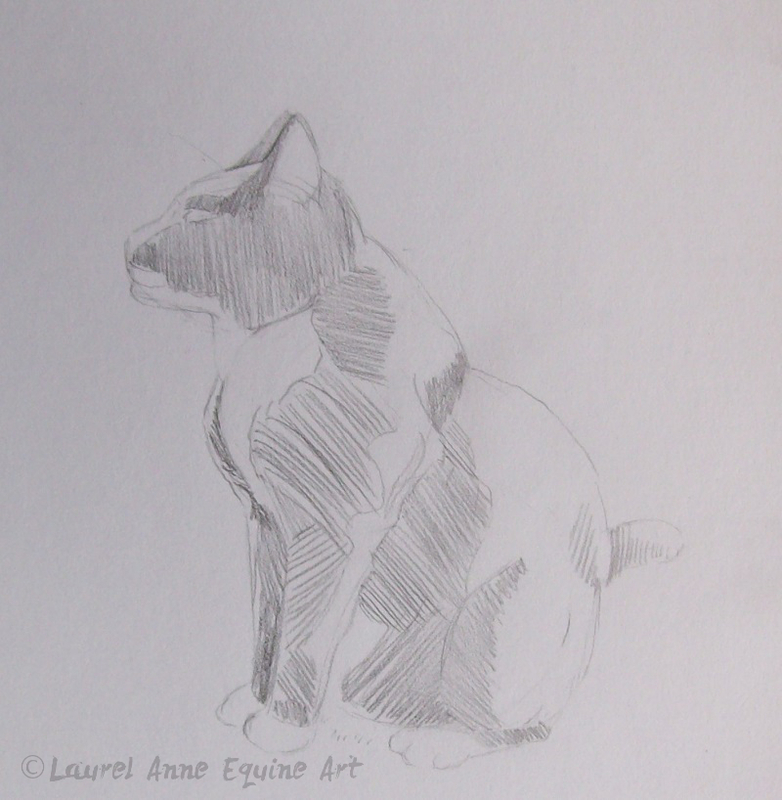 The same cat drawing, now with rough shading added. It helps to vary the pencil strokes to show the form of the subject. 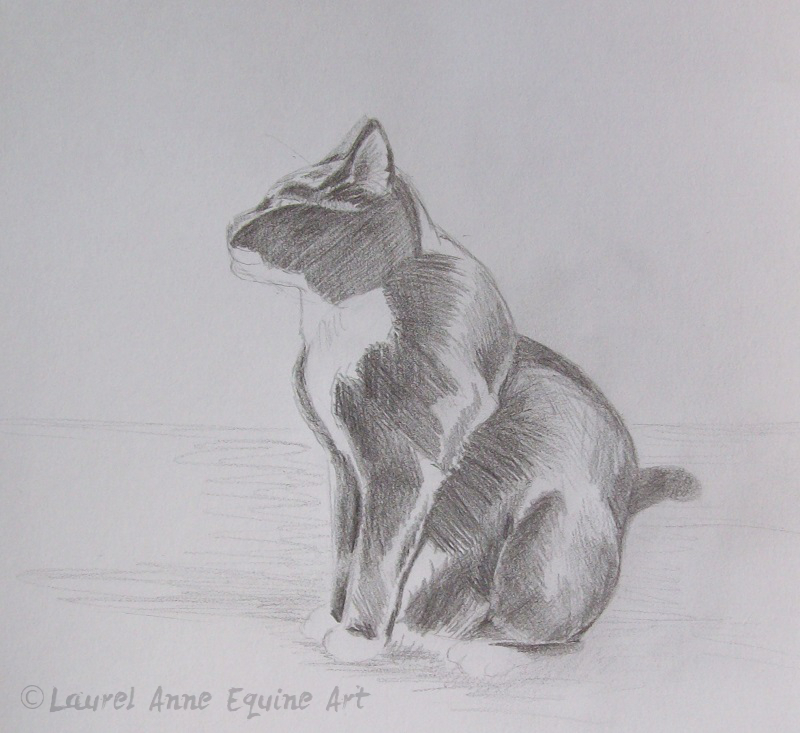 Completed Cat Sketch. The detail is achieved by expanding on the loosely shaded areas from the previous stage, darkening the darkest spots, and blending everything together. I hope anyone who is looking to advance their drawing skills will find this post helpful. Practice, the product of time and effort, along with trial and error (and a lot of erasing! ), really is the best way to become good at drawing. If you have any questions or tips for other artists, please feel free to comment, I’d love to hear from you! Take it easy, like Taz!